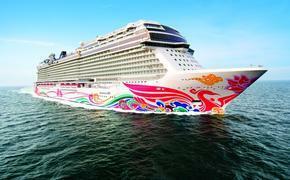 Instead of spending Christmas with the in-laws, hop aboard a festive cruise ship and celebrate at sea. A number of cruise lines offer unusual, Christmas-themed itineraries to far-off destinations with the Christmas spirit found onboard the ship and on land. Warm up with a mug of hot chocolate at a European Christmas market, see the northern lights twinkling, or join a tropical holiday party on a private island. These six cruises are stand-out alternatives to staying home for the holidays. European cities along the “Blue Danube” become winter wonderlands with vendors selling homemade gingerbread houses, handicrafts, ornaments, toys, and jewelry. After touring open-air Christmas markets in Vienna and Budapest or exploring a Benedictine abbey, passengers on the “Romantic Danube” cruise can retreat to the warmth of the new, luxurious “Viking Longships.” Onboard activities include concerts from local choirs, wreath decorating, cookie-making demonstrations and holiday trivia. The magic of Christmas meets the magic of Disney on Caribbean cruises this December. Holiday voyages aboard Disney’s vessels call on Castaway Cay, the cruise line’s privately-owned island in the Bahamas. Once ashore, expect “snow” flurries, a Christmas tree, and Mr. and Mrs. Snowman sporting tropical shirts. Onboard the ship, festive décor includes a life-sized gingerbread house, a 24-foot Christmas tree, and shimmering lights. Passengers can join in a tropical holiday party (think: candy cane limbo), holiday storytelling, a tree lighting ceremony, and meet-and-greets with Santa and the elves. 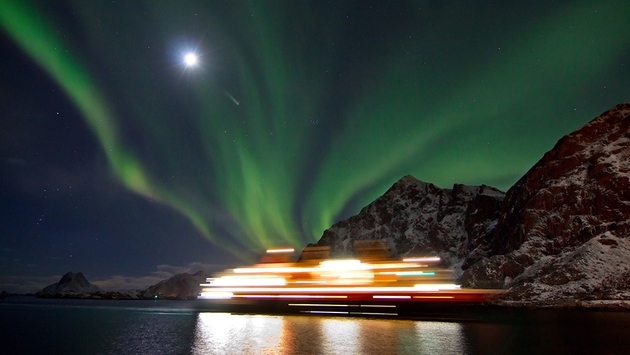 Hurtigruten’s Norwegian passenger ferries offer the chance to celebrate the holidays with locals onboard the vessel. Daily departures on these rare freighter cruises from Bergen range from six to 12 days, and take passengers over the Arctic Circle to snow-capped Norwegian coastal towns – all decked for the holidays. Christmas traditions in Norway are rooted in legends of trolls, Yule tide tales, sleighs and magical reindeer. Onboard, a Norwegian Christmas dinner is served and passengers and crew celebrate together with carols, presents, and a visit from Santa. If guests are lucky, there’s also a strong chance of seeing the northern lights. The American Queen is a regal paddle wheeler inspired by the steamboats of a bygone era and is filled with beautiful antiques and modern amenities. For a taste of a southern-style Christmas, it sails from New Orleans up the Mississippi River to Memphis. Chef Regina Charboneau will prepare a Creole Réveillon Christmas dinner and holiday shows will kick off in the two-story Grand Saloon. Other activities include tree trimming and door-decorating contests, as well as wood carving demonstrations and the Louisiana tradition of bonfires on the levees. For a taste of tropical weather and majestic glaciers – on the same cruise – Princess has a unique two-week voyage from Santiago, Chile aboard the Golden Princess. The ship sails around the tip of South America, past Cape Horn and Patagonia. Passengers spend Christmas in the colorful coastal town of Ushuaia (in Tierra del Fuego) before heading north to Buenos Aires and Rio de Janeiro. Onboard the ship, waiters don Santa hats, carolers make their rounds, and the ship is decked in wreaths, holly, and mistletoe. The Rhine River winds through the German countryside, past medieval castles dusted in snow and quaint villages with bustling holiday markets selling crafts, mulled ciders, and rich hot chocolate. Ships are cheerfully decorated with lights and a lobby Christmas tree, while special events include tree decorating, carolers, stories about European Christmas traditions, a Christmas dinner and captain’s party. AmaWaterways’ Christmas on the Rhine package includes seven nights sailing to cities like Cologne for a cathedral visit, the fairy-tale like city of Strasbourg, and shopping in the markets of Amsterdam, Breisach, and Basel.